Tiina Lillak won the host nation’s only gold medal at the first World Athletics Championships in Helsinki in 1983. 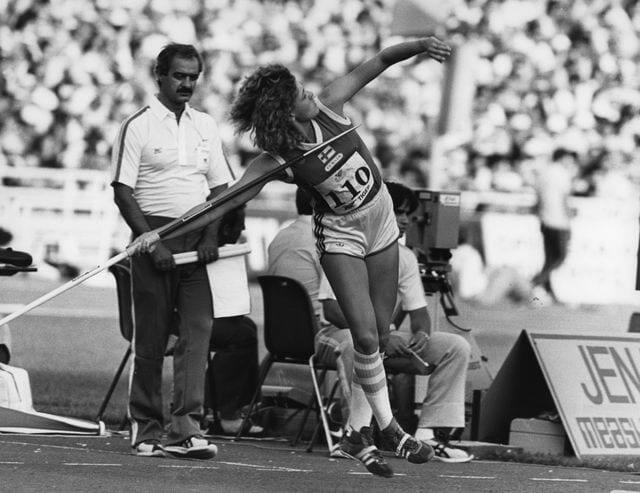 Lillak was favoured to win the women’s javelin title in Helsinki: she had made a new world record of 72.40 metres in 1982 and improved her mark to 74.76 in June 1983. The competition was more exciting than expected, however: Lillak made her winning throw on her last attempt. In 1984 Lillak was injured before the Los Angeles Games but she still managed to take Olympic silver. Her later career was marred by further injuries. She retired from javelin throwing in 1992.